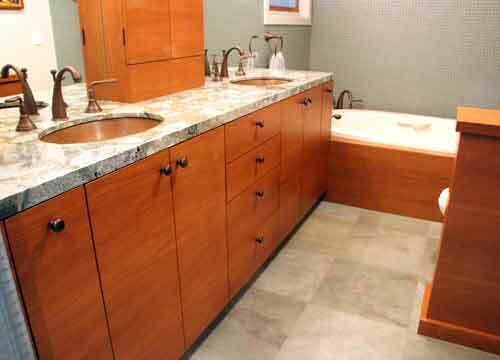 We supplied the cabinets for this Mill Valley remodel. 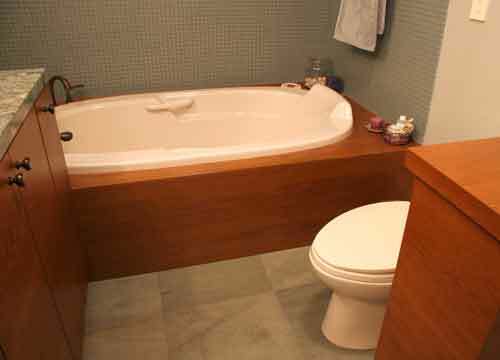 The project consisted of the vanity, medicine cabinet, bath tub surround and small privacy cabinet. 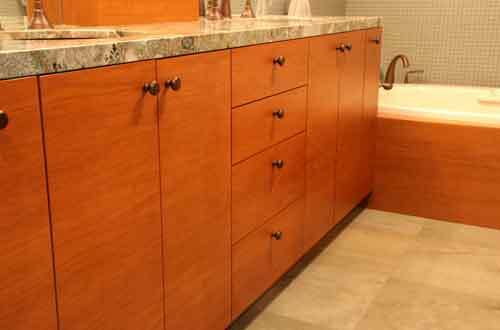 The cabinets are a mix of solid and verneered teak. 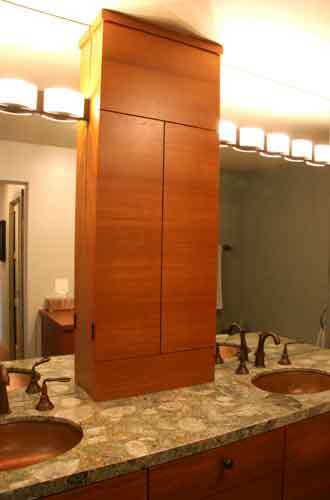 Of note is the medicine cabinet that is hinged in the center and opens from the sides.